Because our state of existence is "limited time only," it's vital to seek out meaningful activities to make the most of what little time we have. That's why it's important to place your brain's focus on determining what's meaningful to you. Maira Kalman is an illustrator, author, and designer. 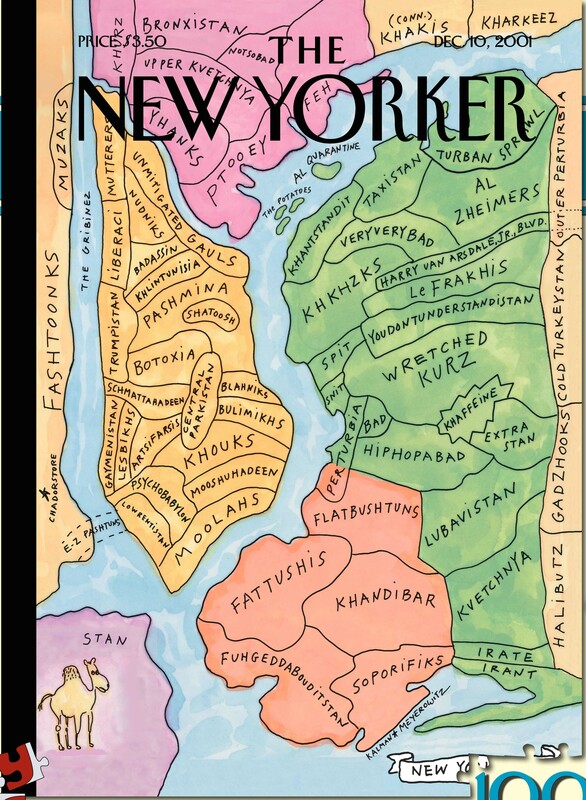 She has created many covers for The New Yorker, including the famous map of Newyorkistan (created with Rick Meyerowitz). Ms. Kalman's twelve children's books include Max Makes a Million, Stay Up Late, Swami on Rye, and What Pete Ate. She also has designed fabric for Isaac Mizrahi, accessories for Kate Spade, sets for the Mark Morris Dance Company, and, with her late husband Tibor Kalman under the M&Co. label, clocks, umbrellas, and other accessories for the Museum of Modern Art. Ms. Kalman's work is shown at the Julie Saul Gallery in Manhattan. Her latest book is Beloved Dog. Maira Kalman: I can’t believe that we are all alive and we all know that we’re going to die and yet we go on doing what we’re doing in the, what might seem to be a completely meaningless exercise, this living thing. So it affects me because I am understanding that I’m in a state of temporary — it’s temporary. So what do you do in this temporary time? You try to do what’s really meaningful to you. You’re not always successful, of course, because sometimes you don’t know what’s really meaningful and it’s something that unfolds. And it’s something that changes all the time anyway, by the way, with experience and with age. So, you know, we’re all screwed. We really are. I always knew that I wanted to do something in this world that would create a job for me, that was a narrative of my life. And I thought it would be in writing, but then I became quite disenchanted with my writing and I thought wouldn’t it be great and easier to draw. So I started to draw and then it took me some years to realize that I could draw and paint and that was called books. And then, you know, the thing about finding your voice is that it should change. It should keep changing and you should keep finding a new voice. Not something that’s completely alien, but something that makes you feel as if you’re exploring a different part of yourself. So I’m still looking. I take a lot of walks and that gives me a great sense of joy and a great sense of cleansing my brain and having an empty brain, which I talk about a lot as being a terrific thing to have. In the sense the state of not knowing and the state of just absorbing information, so I walk and that gives me a million ideas and a million visuals also and I’m photographing and I’m sketching. And I think also I read a great deal and that inspires me and I look at art. I go to museums. So between looking at trees and looking at art and looking at people and what they’re wearing and looking at dogs and chairs and buildings — well I could go on, but looking is a good thing to do. The only rule, if you’re going to follow a rule in my life — how it’s worked for my life — is that follow your instinct. I don’t think there’s anything else that I could say that means anything because I don’t think I’ve learned anything other than follow your instinct and persevere, which I think is a good thing for anybody. So persevere and don’t give up. If you don’t want to give up, don’t give up. Because our state of existence is "limited time only," it's vital to seek out meaningful activities to make the most of what little time we have. That's why it's important to place your brain's focus on determining what's meaningful to you, says artist Maira Kalman. Most of all, it's a good idea to develop protocols for thinking. This way, your brain is ready to pursue the truths you seek.